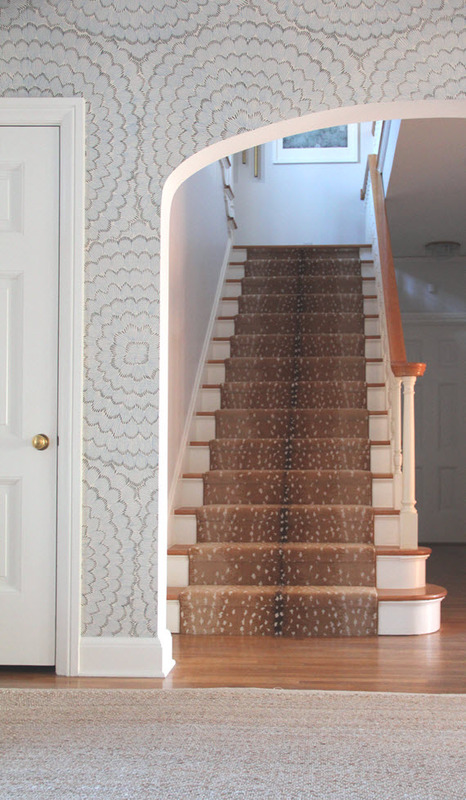 As you may recall, the carpet stair runner didn’t arrive in time for the big One Room Challenge reveal. I was so bummed not to have it complete, but was thrilled to have it installed just a few days before Christmas. 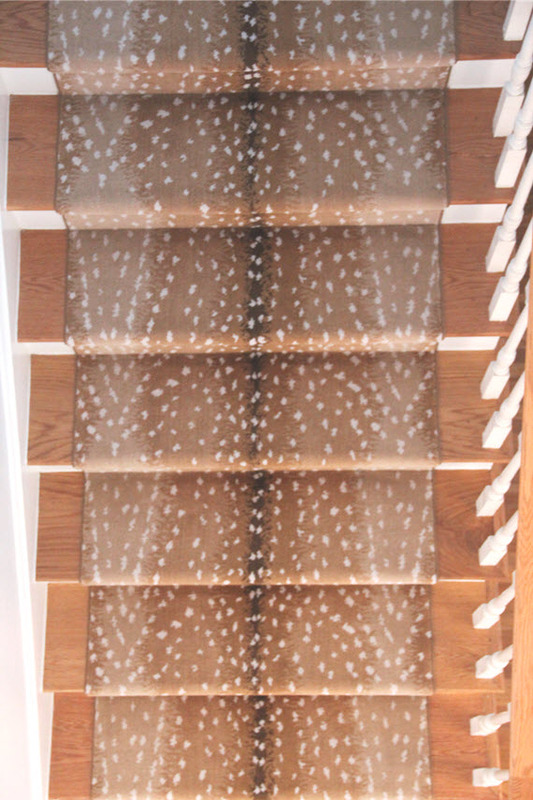 I selected a wool carpet with an antelope pattern by Stark. It’s the perfect dose of pattern and neutral color for the space. I couldn’t be happier with the result! 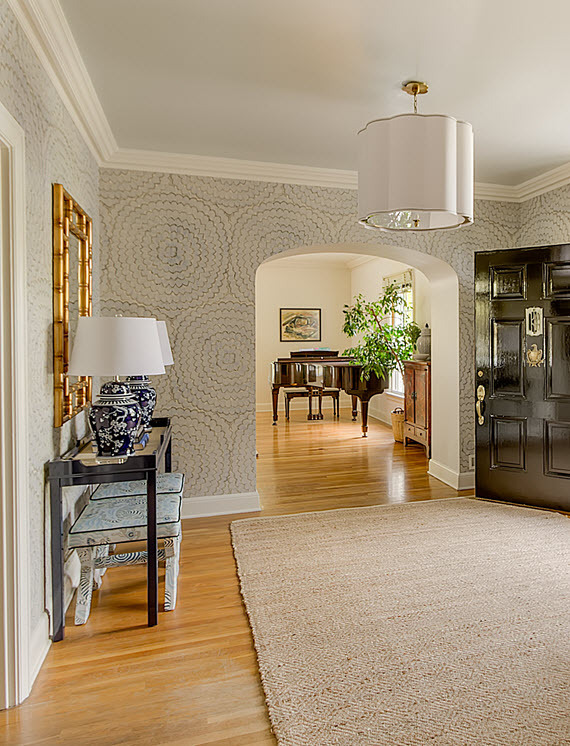 Another item that was needed in the foyer (yet, that’s not as glamorous) was a rug pad for under the diamond pattern natural rug. 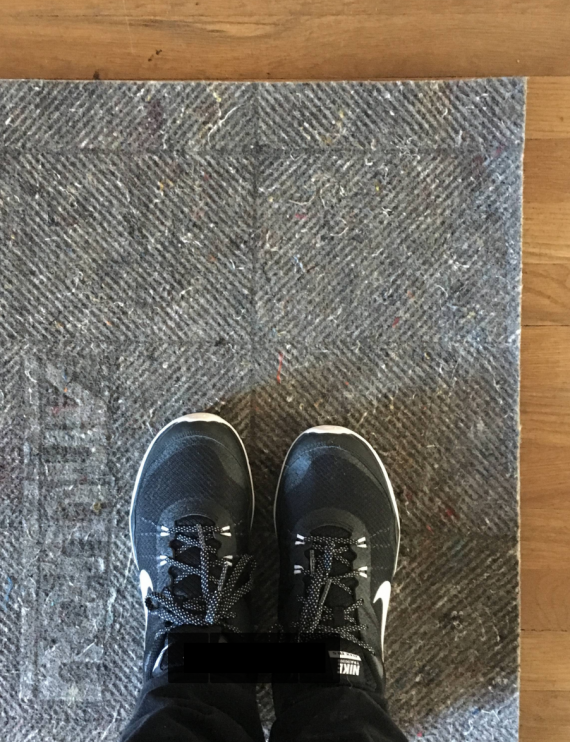 Because rug pads can be full of glues, chemicals and off-gases, I jumped at the chance to test out an eco-friendly rug pad from Rug Pad Corner. Each rug pad is cut to order down to the inch, so it’s a perfect fit for your rug. They also provide a variety of rug pads based on type, use and floor material. For our foyer we needed a non-slip rug pad that wouldn’t damage the hardwood floors. We went with the Ultra Premium and are very pleased with it’s performance. Although it doesn’t apply in our case, the Ultra Premium rug pad can also be used over radiant heat floors – thought some of you may want to know! Now that I have the foyer complete, it’s time to move on to the next project in our new home. There are several rooms that need a complete redesign and I’m excited to be sharing one of them with you through the One Room Challenge Spring 2016 edition! I’ve been planning away and can’t wait to share with you the space which I will be introducing next Wednesday, April 6th. Stay tuned!!! Runner is gorgeous, but I’m also loving your wallpaper AND those blue-and-white chinoiserie lamps. Can’t wait to see your ORC project.